Looking for some free blogging sites to help you start sharing your writing with the world? 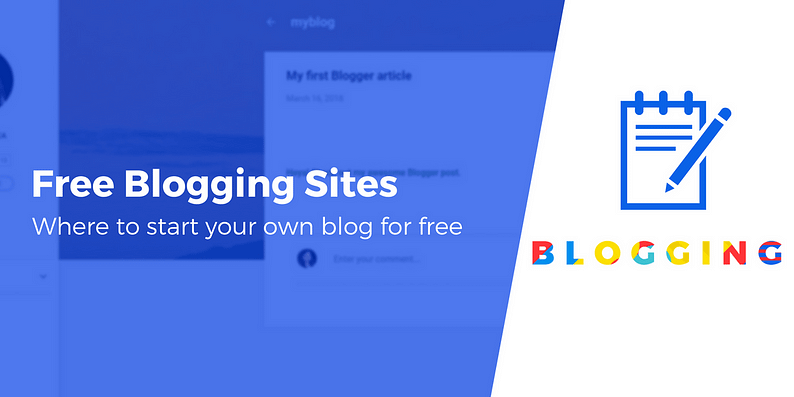 Whether you just want to share updates with your family and friends or you want to start a blog and build a broader audience, we’ve put together nine great sites where you can start a blog for free. We’ll also try to steer you towards the specific platform that’s best for you, so that you can get started on the right foot. Best for…people who want to 100% own their blog and customize it. It’s perfect for setting up a serious website that you plan to work on long-term. WordPress.org is the king of free blogging sites. It is a free platform and can be downloaded from here, but you need to build the site mostly by yourself afterward. 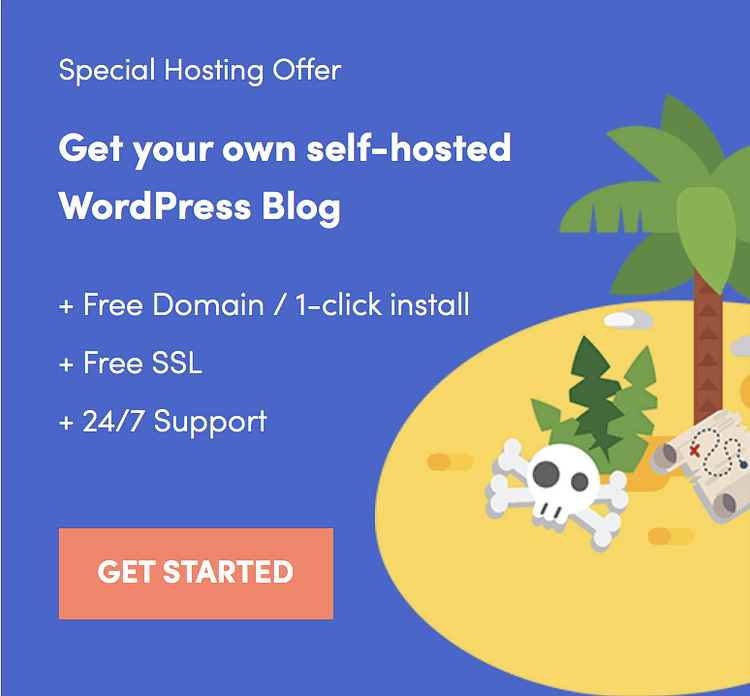 While you can find some free WordPress hosting, a better long-term strategy is to pay a moderate amount for standard WordPress hosting. This is where Bluehost comes into play. Not only is it very cheap (just $2.95 per month on the Basic plan), but it also provides solid features, including a free domain name, 50GB of disk space, unmetered bandwidth, free SSL, and 100MB of email storage per account. 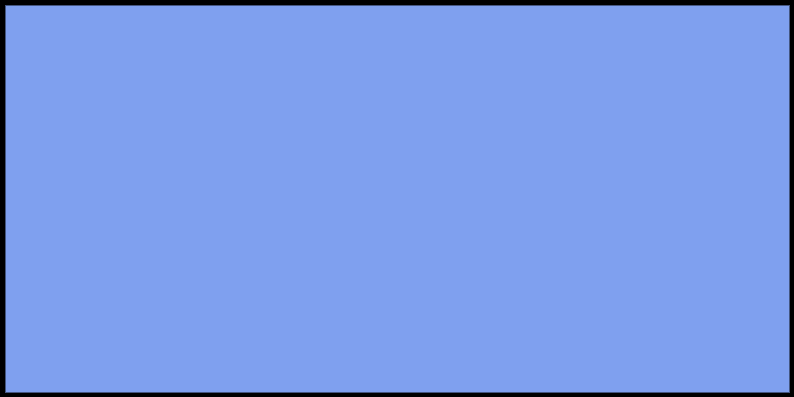 At this very moment, Bluehost is the cheapest sensible WordPress hosting you can find out there. Because you’re hosting the WordPress software yourself, you have full control over how your site looks and functions, as well as how you make money from your site. But the flip side is that the setup process is a little bit more hands-on. On the opposite side, there’s WordPress.com, which is the other face of WordPress – a platform used mostly for personal blogs because it’s easy to set up and free (if you’re okay not having a custom domain name). However, you’re also quite limited in the way you can customize the site. And especially if your plan is to monetize your blog in any way, WordPress.com will prevent you from doing that. There are better solutions for that purpose out there when it comes to free blogging sites. Best for…non-techies who want some “regular website” functionality along with a blog. Wix is a free website builder that can be totally managed from the front-end. The main characteristic of this platform is that it comes with drag-and-drop options, so you don’t have to handle anything in the back-end. The design is very intuitive and modern, which can be used by both beginners and advanced. The nice thing about Wix is that it has free hosting included, so you just need to arrange the layouts, pick a template, and you’re all set. 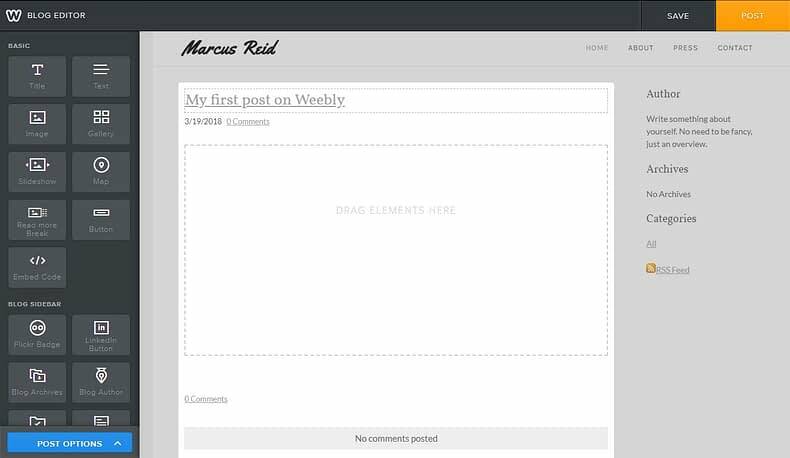 It provides a nice collection of free and premium themes and templates for different purposes, including blogging. To launch a Wix blog, just sign up and make a choice: you can either let the Wix AI create a site for you based on a questionnaire or build your blog yourself – which includes selecting a template and arranging the layouts via the WYSIWYG editor. If you go with the second option, all you need to do is to find a beautiful template and start customizing everything on the front-end, in a live preview mode. You can add multiple elements to your pages, from multimedia widgets to backgrounds, menus, typography, forms, video boxes etc. When you think the site is ready, click Publish and start blogging your stories. After publishing, you can return anytime to edit the content blocks. 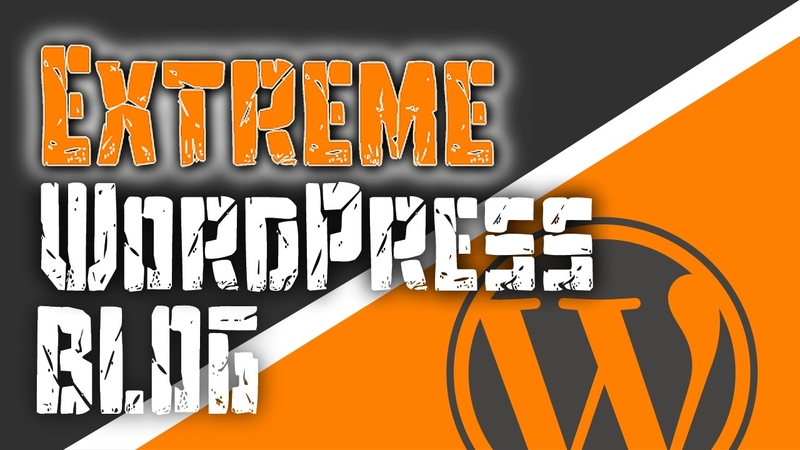 Read more about the differences between Wix and WordPress. Best for…people who just want to write, are looking for access to a built-in audience, and don’t care about having their “own site”. 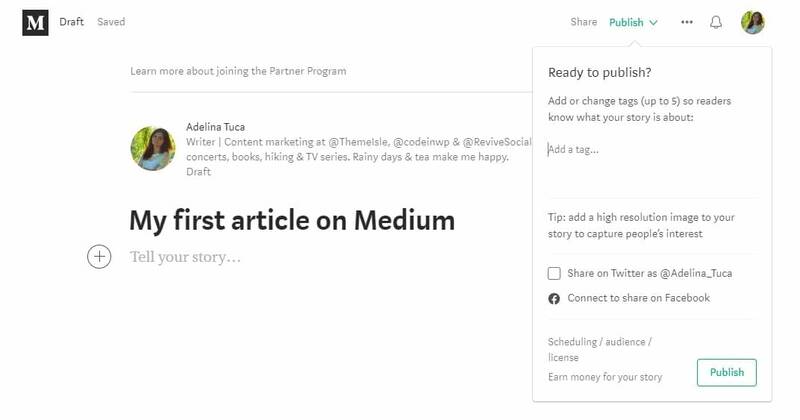 Medium is a multipurpose platform tackling diverse topics, where anyone with an account can write. Unlike most other free blogging sites, the big advantage of Medium is that your articles will be exposed to a wide audience since the platform is visited by 60 million readers per month (and the number increases every year). It’s super simple to use – you pretty much just sign up and start writing. But the downside is that all your content is on Medium. That is, you’re not really building your own “space” like you would with WordPress. Read this post for more on the differences between WordPress and Medium. Best for…people who need something simple (simpler than WordPress, for instance) but offering a modern vibe at the same time. 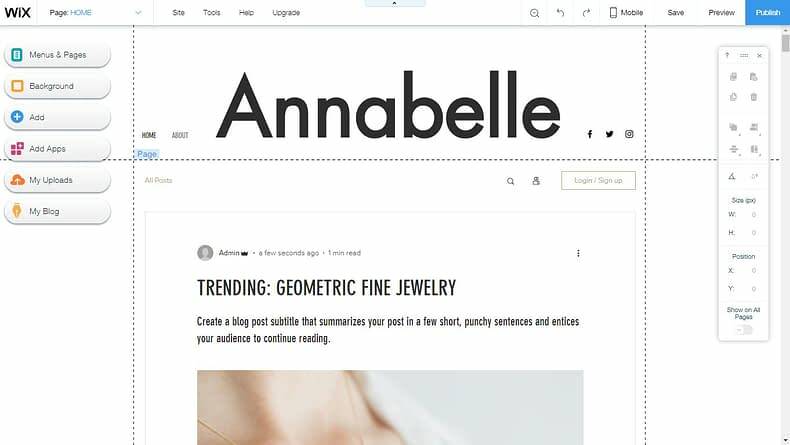 This is another WordPress-like blogging platform. While the Ghost software can be downloaded for free, you need paid hosting for fuel. DigitalOcean is a great service that supports Ghost: it is cheap and comes with a bunch of nice features to get you started. To create a post in Ghost is easy once you set up your website. 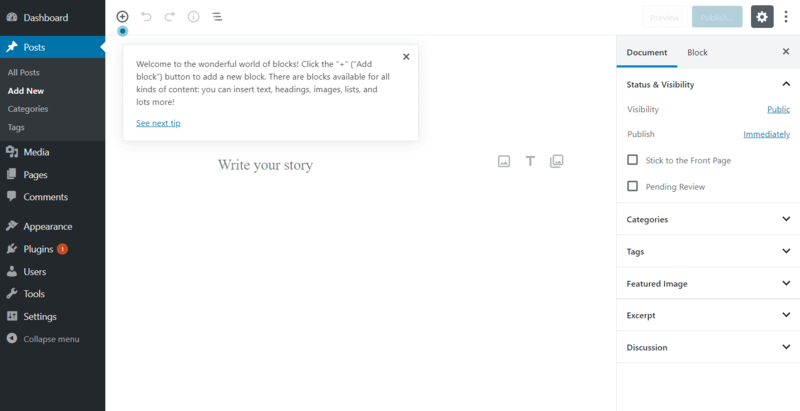 The editor is simple and minimalist, and it offers a live preview of your text on the right side of the screen. On the front-end, you get a Medium vibe, so it’s nice. Near the editor screen, there is a sidebar with settings, where you can choose your preferences. Best for…people who want to write and aren’t concerned about owning their own site…but also wouldn’t mind making a little pocket money! Blogger is one of the oldest free blogging sites, though its popularity has dipped in recent years. It’s a solid solution for personal blogs, but it’s not the best resource for professional use. It works just like the other hosted platforms: you need to create an account first in order to use it. After you create it (which is simple), you have to pick one of the default themes and you can start writing your thoughts down. This platform has an interface similar to a Google+ profile and the editor looks like a Word page. Blogger delivers a bunch of themes to choose from, each providing different skins, advanced color filtering, and various minimalist gadgets (aka widgets). But nothing too fancy or any advanced design customization. 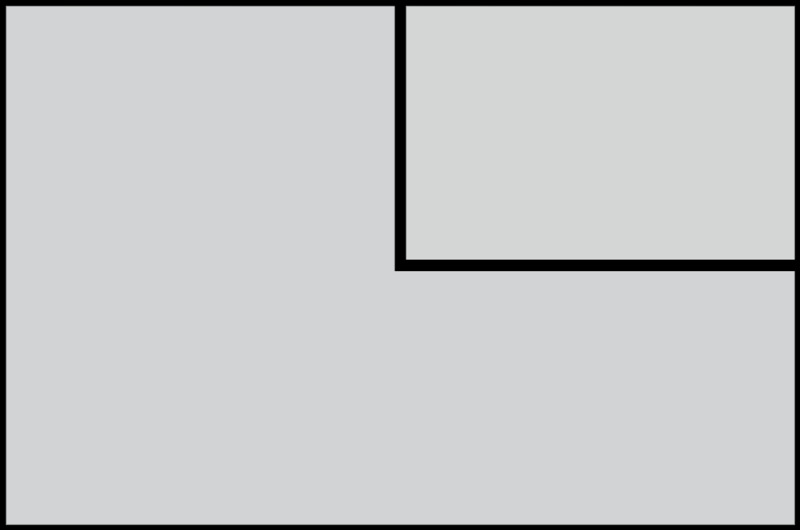 In general, Blogger has simple appearance options, so the focus stays more on the writing part. A nice part about this site is that it comes with ad spaces that you can place within your content pieces. Best for…people who are into more short-form, image-focused content and don’t need any “regular website” functionality. 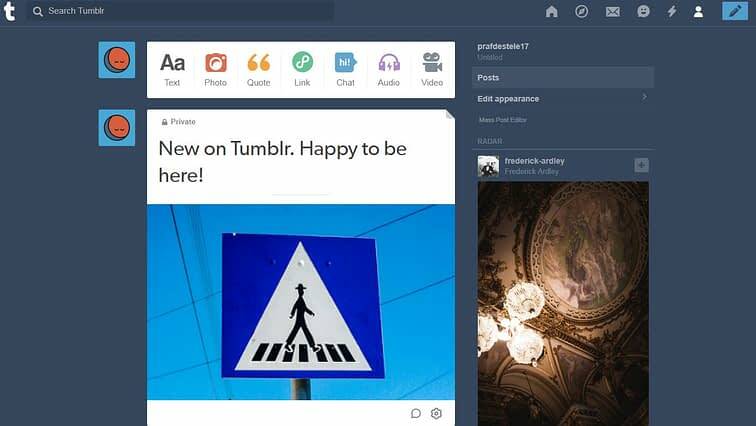 Tumblr is one of the original free blogging sites on the web. It’s just a bit ‘milder’ than the others on the list. Unlike the rest of the platforms that are mostly created for publishing purposes, this one here is more oriented to multimedia or social media-like content. 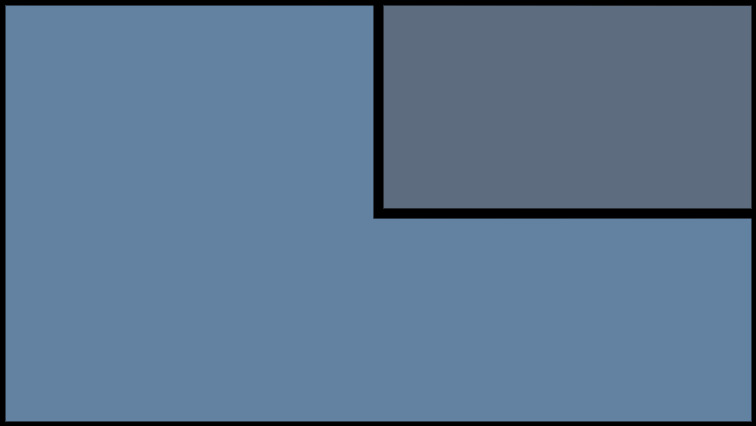 The interface of Tumblr is more playful and is easy to get started with – you can simply sign up and then you’re allowed to start posting. Just like a regular blogging platform, it provides multiple post formats for different types of content. The thing with Tumblr is that it is purely for personal use and wouldn’t put up a great solution if you have business-oriented plans. It is simplistic, offers basic customization options and, like I said earlier, has more of a social media vibe. Despite not being built for business, it does let you display ads on your page, use affiliate links, and integrate your blog with Google Analytics. Weebly is another website builder that you can use not only to blog but also to sell products or showcase your portfolio. It is somewhat similar to Wix to the extent that it provides a WYSIWYG editor with drag-and-drop elements. If you want to add a certain button, you can simply drag it to the page and customize it. The same happens with photo galleries, slideshows, and any other multimedia element. Weebly provides sidebars, media boxes, forms, ad spaces, social media icons, newsletter subscription, and many more. Moreover, the platform comes with built-in analytics and lets you use your own customized domain (for which you need to pay). On the free plan, you get five custom pages, a Weebly subdomain, 500MB storage, and ad spaces. Best for…people who want to launch a simple personal blog, but care about details such as having a custom domain and being supported by a host. 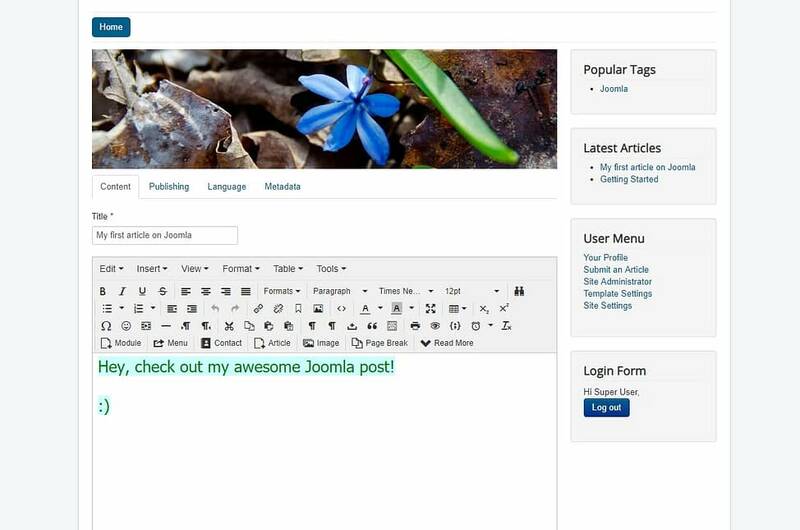 Moreover, if you’re more into old-school, basic website designs, Joomla will offer you that. Joomla is similar to WordPress.org but not as obvious when considering the free blogging sites available out there. Just like WordPress, the software is free but needs hosting and a domain. As in the WordPress case, we recommend Bluehost because it is both very cheap and reliable (and it includes a free domain). In general, Joomla has a flexible interface that can be used not only for blogs but also for more complex websites (you can choose from a variety of templates and extensions to add custom functionality). When it comes to the ease of use, the platform provides an old-school editor, that somehow looks like Microsoft Word. It allows you to choose the font, color, size, emoticons, tables, or background. I mean, the tools in the menu make you feel like you’re in a Word window. The Joomla editor is tabbed. The first tab is the classic texting window per se, then you need to switch tabs to select the post categories, tags, date, meta description, keywords etc. Best for…people who are more comfortable editing the content directly on the front-end of the site. That, plus: you do not need a blog of a high complexity. 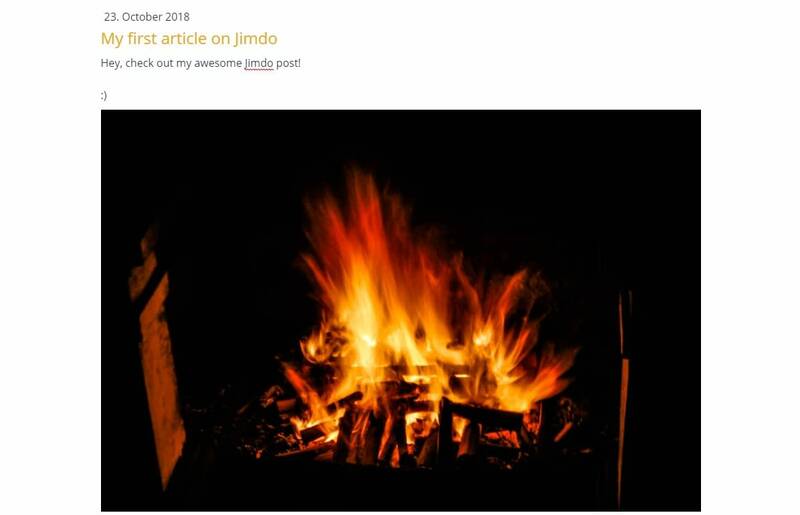 Jimdo is more than just an example of free blogging sites. However, in its free version, blogs are the most recommended, given Jimdo’s basic features. So you can quickly create a website with Jimdo by going through a few items (you take a basic questionnaire about your site’s purpose). After you check these options, your site is automatically created based on your picks. The downside of Jimdo is that you can’t have a custom domain (at least not for free) and you can’t remove the ads unless you upgrade. 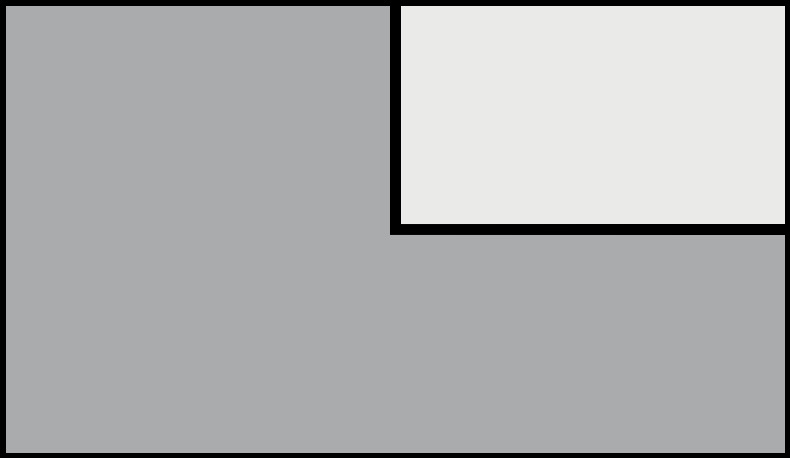 An important aspect of Jimdo, though, is that it is a page builder: you create blog posts right via the front-end and not via an editor (like the other blogs do). This means that you need to go to every content box on a live page and edit it on the spot, without being redirected to another page. The footer and the logo can be edited the same way. When it comes to the content elements, you have a few options: simple text, text with image, photo gallery, columns, buttons etc. Via the left sidebar, you can make more tweaks, such as adding the post’s date, title, category, status (published or draft), summary, and image preview. In short, your article will be entirely built from many individual elements that you will edit separately. Text, picture, button… the order is up to you. Ready to launch a blog with these blogging platforms? What do you think? Which one sounds like the best solution for you? Also, if you used any of these free blogging sites in the past, we would like to hear about your experiences. Submit a comment below.